It’s official, its watermelon season! 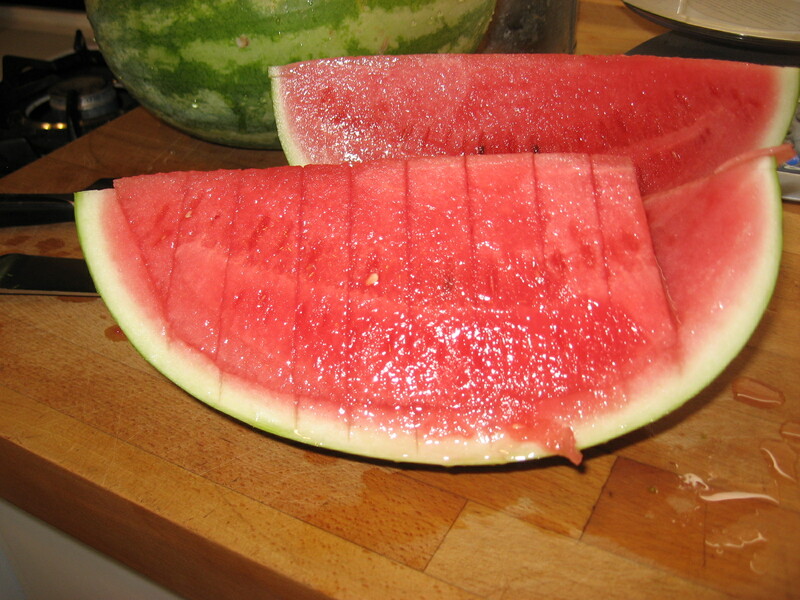 Why watermelon is so good for you and How to pick a good watermelon. Serves 1 – but just keep multiplying until you have apps for everyone. *Balsamic reduction: in a small saucepan over medium/high heat bring ¼ cup (60 mL) to a boil, reduce by 1/3, remove from heat and cool, you should have approx 2 tbsp (30 mL)when it has cooled. Store any extras in the fridge. May have to reheat if it is too thick or add more regular balsamic to thin it out enough to pour. Wash and cut the watermelon into quarters. Cut around the edges to release the watermelon from the rind. Slice into slices. Half of a quarter will serve one person. There is a tiny piece missing! Had to try some – it was so sweet! Place onto a plate – white looks amazing. Sprinkle with mint and chives. 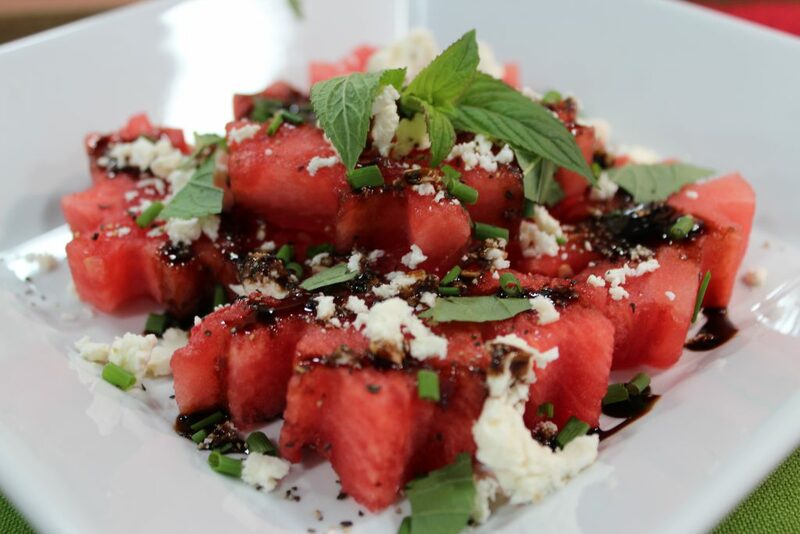 Drizzle with balsamic or balsamic reduction, sprinkle with cracked pepper if desired and serve. 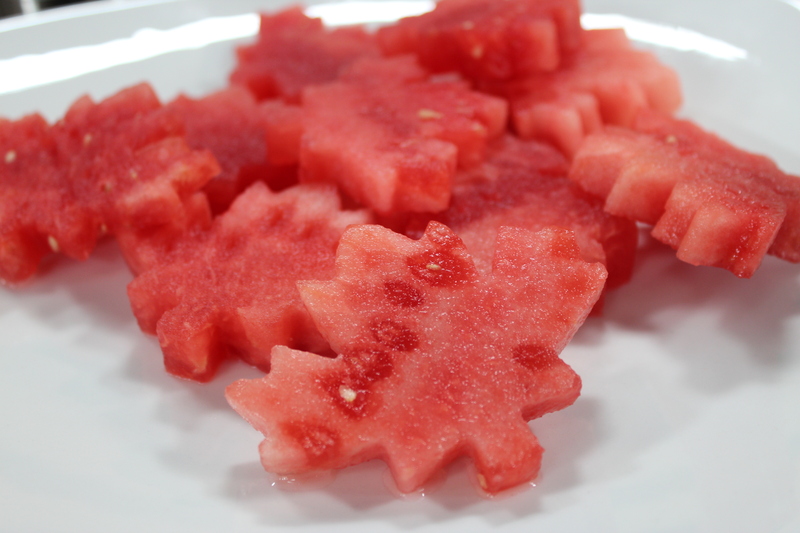 Getting our Canadian on – watermelon cut out into maple leafs. Great idea for Canada Day – using a maple leaf cookie cutter cut out maple leafs for this appetizer. 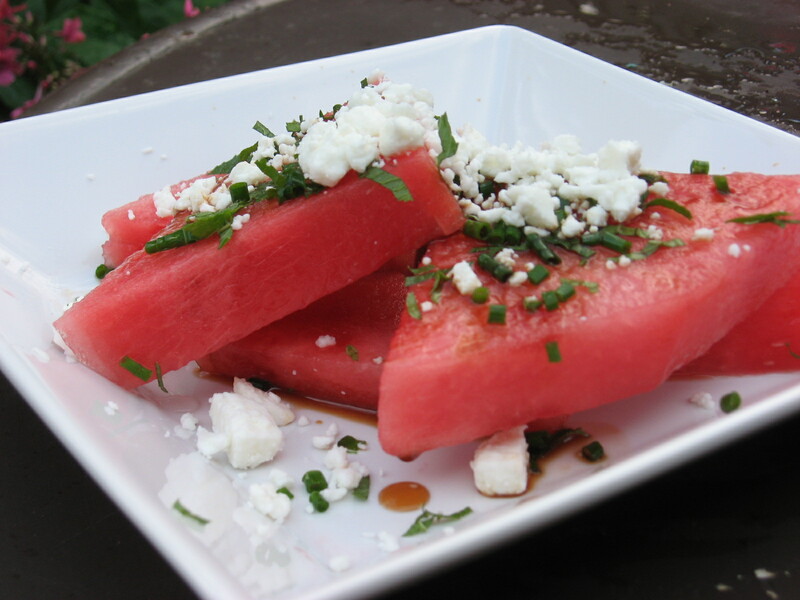 Love the watermelon salad .. how could you possibly go wrong with watermelon and any type of goat cheese!! Also made the watermelon lemonade .. another new favourite! Thanks so much for your comment – that salad is a classic at our house every summer.